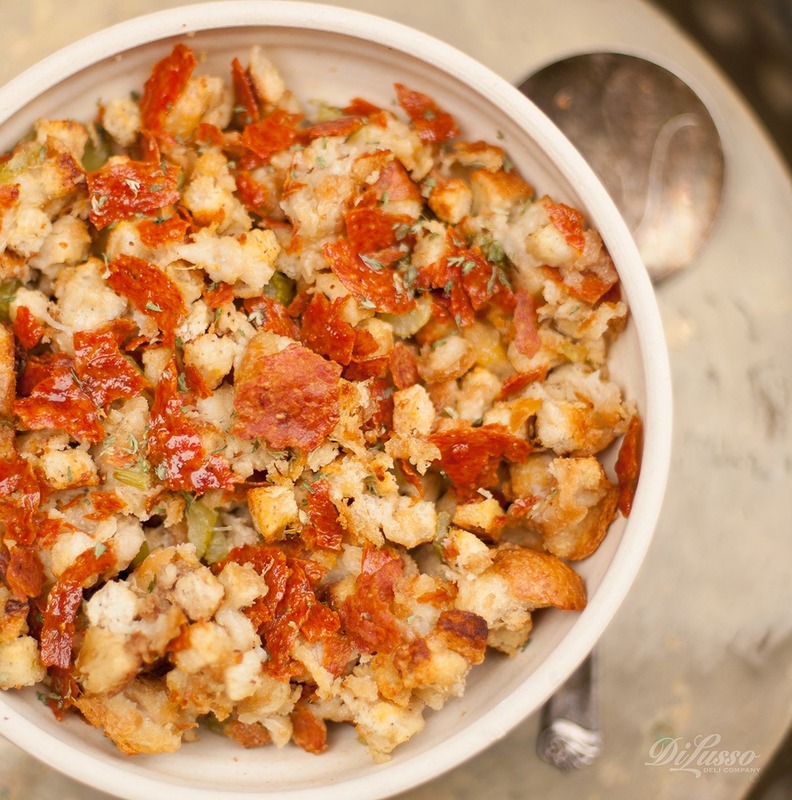 Stuffing might just be the best part of Thanksgiving dinner. Stuffing is at its heart a savory combination of flavors and textures and the recipe varieties are endless. Even the pickiest eaters can get excited about stuffing. Get everyone involved in the cooking by asking your kids to offer recipe ideas and then assign them a job. From weighing in on the ingredients, to tearing up the bread or chopping the celery, stuffing encourages the best kind of family teamwork. Pumpernickel stuffing with chopped capocollo and swiss. 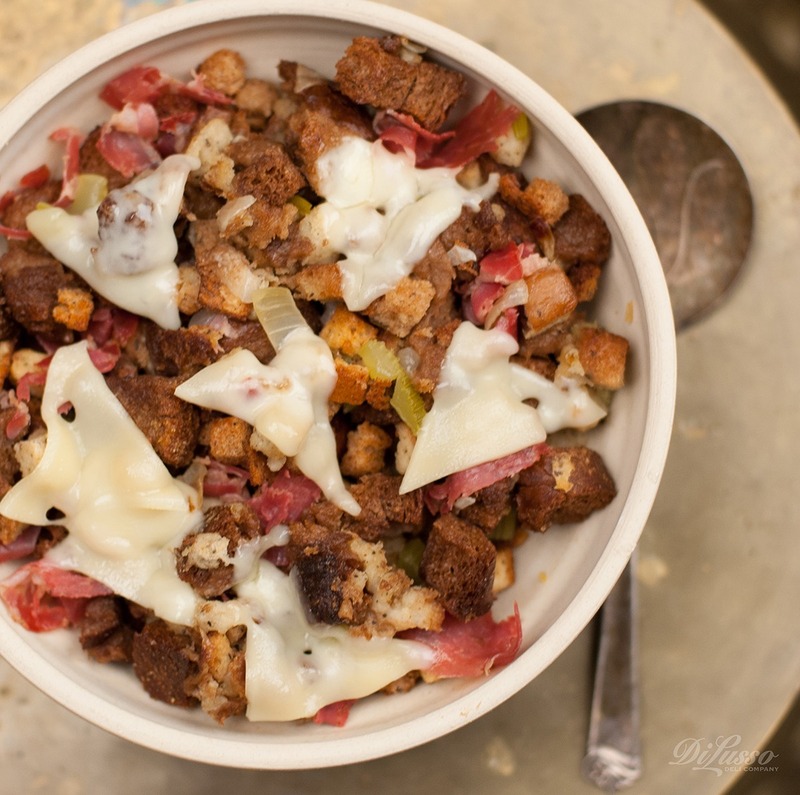 Use dried pumpernickel bread cubes in this stuffing. Add thin slices of DI LUSSO® Capocollo. Top with thin slices of DI LUSSO® Baby Swiss. 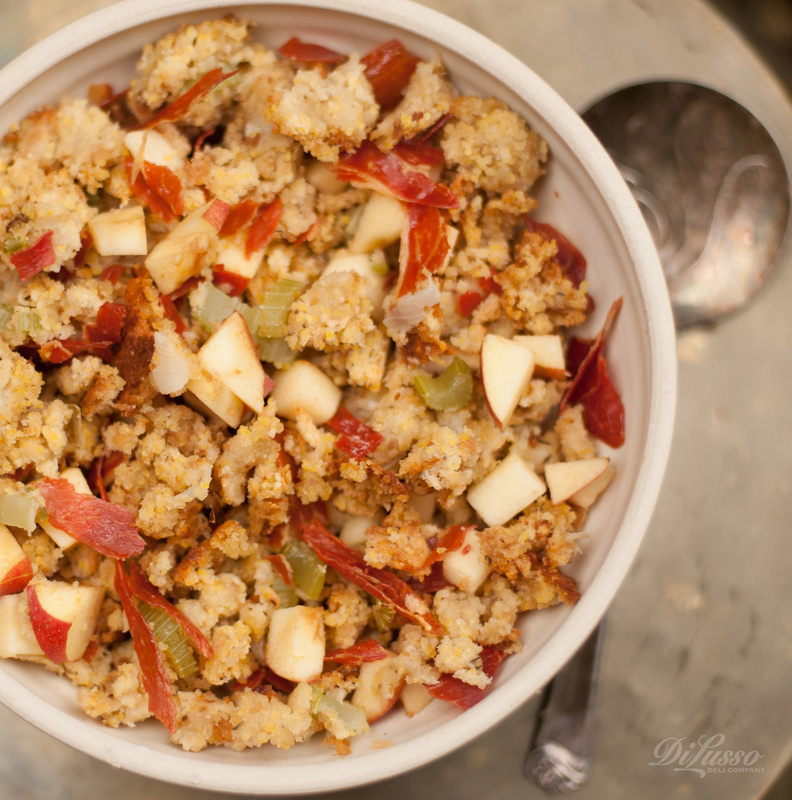 Cornbread stuffing with apples, prosciutto and walnuts. Use dried cornbread cubes in this stuffing. Add chopped DI LUSSO® Prosciutto, chopped apples and toasted walnuts.